Is the FBI Criminalizing Curiosity About Israel/Palestine? On Friday, December 3, Sarah received a phone call from an FBI agent, who asked her if she could come in to answer some questions. When she asked what this was about, he said he “was not at liberty to discuss it.” She asked if she would need a lawyer present; the agent said it was up to her but that she was not in any trouble and that they just wanted to ask her a few questions. Sarah later learned from her lawyer that she, along with her two friends, were being subpoenaed to appear before a grand jury. I don’t think I need to speak in defense of her character. While she was in high school, Crain’s Chicago Business had a special edition called the “100 Most Influential Women in Chicago” and they chose my daughter as being one of Chicago’s six most influential and up-and-coming women high school students. Crain’s Chicago Business chose her partly because they saw she was willing to travel to different parts of the world and see for herself and to make up her own mind about what was happening over there. Evidently, the FBI thinks that there is something criminal in doing that. I myself have done similar trips as Sara more than once. So have many of my friends and colleagues. This Sunday, I’m going to leave with 20 members of my congregation to visit Israel/Palestine so we can, yes, learn about “what life is like for Israelis and Palestinians.” (More on that very soon.) Is this now standard operating procedure in our country: visit Israel/Palestine to get a real look at the conflict, expect a subpoena from the FBI? If this all sounds sadly familiar, you might remember that back on September 24, the FBI raided the homes of anti-war activists in Minnesota, Chicago and Michigan and issued subpoenas to 14 of them. To date, they have all refused to testify and US Attorney Patrick Fitzgerald has since withdrawn the summons. However, he recently reissued subpoenas to three Minnesota women who are facing “indeterminate imprisonment” if they continue refusing to testify. It’s beyond egregious. Back in September, it looked like freedom of dissent was now a potentially punishable crime. This definition of “crime” has now apparently been extended to include honest curiosity about the world around us. Please visit the website of the Committee to Stop FBI Repression to learn more and for details about how you can take action. Click here to sign a petition that tells President Obama, Attorney General Holder, US Attorney Fitzgerald, et al to stop this growing FBI campaign of repression now. This entry was posted in Civil Rights, Human Rights, Israel, Palestine, Politics on December 17, 2010 by Rabbi Brant Rosen. I can’t stand this kind of comfortable middle class “disaster tourism” – it’s no different to the Israeli’s picknicking on the hillsides overlooking Gaza, or the Thomas Cook tours to the Crimean War. It’s one thing for a high school kid full of youthful idealism, but you’re a different case. You cant possible believe that a quick visit to Israel/Palestine, air ticket in back pocket, no fear of a nighttime visit by a drone, and kids safely in bed in the US, can really teach you what it’s like to be a Palestinian? It’s also completely counterproductive. All you’re doing is importing more dollars and boosting the tourist numbers. It’s also incredibly patronising toward the Palestinians. Boycott, divest, and sanction the entire country, and all it’s residents. I know you know it’s the only way; I watch you tiptoe up to that line so often, and then hesitate. Flame off. I admire your willingness to struggle with your conflicting loyalties in public; it’s a real contribution. Needless to say, you and I are worlds apart on this. We have no pretense to “learn what it’s like to be Palestinian.” And to compare our trip, which is all about bearing witness, engaging, cultivating relationships, and making the effort to learn about something first hand rather than from the comfort of our homes, to “picknicking outside Gaza” is downright offensive. And you accuse us of being patronizing? And for for the record, I don’t view my own struggle as an issue of loyalties. If you’d made any effort at all to truly understand what I write here you would already know that I reject this “zero sum” approach to the conflict. Maybe you think you are making some sort of absurdist joke here, but you need a great deal more study to learn what is funny and what is not. I am on my way to the Middle East and plan to spend 2 days in Ramallah visiting with Arava Institute Alumni. Last year the Israeli Border Police held me up for over 2 hours before they allowed me to enter the Palestinian Territory. It will be interesting to see what happens tomorrow. I have heard about these actions before, and many other things our government seems to be doing. Makes me wonder what the man who promised change was talking about and to whom he really answers. We need to let our Congressional Representatives and President know that learning and speaking is not the same as giving aid to terrorism, no matter what our current, bizarre laws say. Thank you so much for posting your comments about the FBI raids and their implications for those of us working for a just peace in Israel/Palestine. Voices from the faith community need to be heard. I would only note that even though subpoenas for only three of the original fourteen persons issued subpoenas on 24 September have been reactivated, the papers and computer files confiscated from the homes of three persons in Chicago have yet to be returned to them. 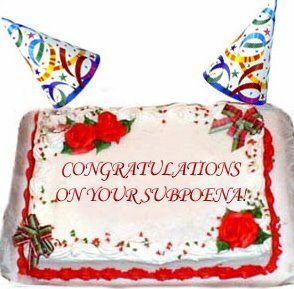 And the original eleven are living with the possibility that the subpoenas issued to them may well be reactivated at any time. Have a good, safe and productive trip to you and all those going with you. Looking forward to a “full – report” and continued interesting conversations within our community and beyond. Brant it is great to see you taking in members of your community. For some people it will only through a personal visit that will profoundly change a person. Richard Goldstone’s personal visit to Gaza certainly demonstrated to him at a personal level the harm that Israel was doing to Palestinians in Gaza. For your community to visit the West Bank will be life-changing. Sarah and 2 members of her legal team will be discussing her case this Sunday at 2:00 at the Evanston Public Library. Call 847-448-8600 or go to http://www.epl.org/events.